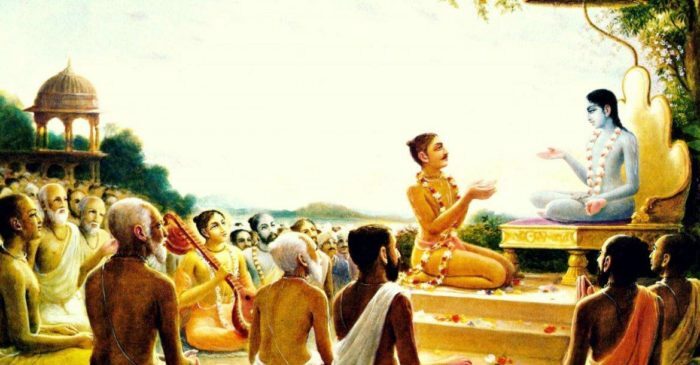 Vedic scholar and author Pusta Krishna Prabhu is bringing his in-depth knowledge of the Srimad Bhagavatam to the Seva Ashram every Saturday for an open discussion on the divine teachings found in the Vedic scriptures. Pusta Krishna Prabhu has been a practitioner of Bhakti Yoga for over 30 years having been instructed by such great personalities as Srila AC Bhaktivedanta Swami Prabhupad, Srila Bhakti Raksak Sridhar Maharaj, and Srila Bhakti Sundar Govinda Maharaj. Join us every Saturday at 9 am for this unique opportunity to explore this ancient text and discover what meaning the Srimad Bhagavatam has for us today. Please come early to enjoy breakfast Prasadam or stay late for noon Aroti and lunch Prasadam! 2900 N. Rodeo Gulch Rd.